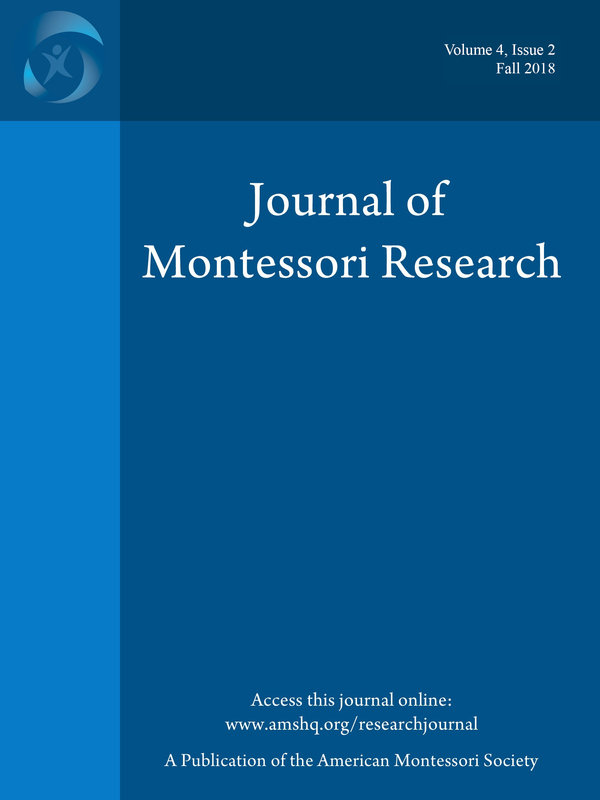 This article explores the ways Ngaanyatjarra students in Australia respond to Montessori pedagogy in a remote Aboriginal early childhood context. The article initially presents key literature pertaining to early childhood education, Aboriginal education, and Montessori education in Australia. The qualitative methodology underpinning the research is subsequently outlined. The approach emphasized in this research is that of interpretivism. The data analysis process highlighted three headings: concentration and engagement, student autonomy, and student independence. The findings of this research indicate the potential for Montessori pedagogy as a viable alternative practice of education for remote Aboriginal early childhood contexts, as Montessori pedagogy may align more harmoniously with the cultural dispositions of Ngaanyatjarra students. Finally, recommendations are presented in light of the research. Catherine began teaching at the Ngaanyatjarra Lands School Network in the Central Desert, Australia. With the support of the Montessori Children’s Foundation (MCF), she transitioned the Kiwirrkurra and Papulankutja (Blackstone) Remote Community Early Childhood classrooms from traditional teaching and learning practices to the Montessori approach. Catherine completed her Montessori Diploma (2.5 to 6+ years) at the AMI Montessori Training Centre in Perugia, Italy. Catherine also holds a Bachelor of Education (Early Childhood), Masters of Education (by Research) and Certificate IV in Training and Assessment. Catherine is currently completing a PhD at the Australian National University on "A study of child's play from an Indigenous perspective in Australia: An interpretive approach to socialisation". Acker, T., & Carty, J. (2011). Ngaanyatjarra art of The Lands. Crawley, Western Australia: UWA Publishing. Australia Children’s Education and Care Quality Authority [ACECQA]. (2012). National quality framework. Retrieved from http://files.acecqa.gov.au/files/Information%20sheets/2- ACECQA%20Information%20Sheet%20-%20Overview.pdf. Berg, B. (2007). Qualitative research methods for the social sciences (6th ed.). Boston.MA: Allyn and Bacon. Boulden, K., Hilson, B., & Tyne, M. (2010). Developing sustainable partnerships with Aboriginal and Torres Strait Islander leaders and communities to improve early childhood infrastructure. Retrieved from http://montessori.org.au/government/submissions/MCEECDYAMontessoriAT SIPaper.pdf. Breadmore, J. (1986). Montessori in the outback. Retrieved from https://montessoriaustralia.org.au/sites/default/files/downloads/issues/Strelley Mob.pdf. Christie, M J. (1984). Formal education and Aboriginal children. The Aboriginal Child at School, 1(14), 40-44. Creswell, J. W. (2003). Research design: Qualitative, quantitative, and mixed methods approaches (2nd ed.). Thousand Oaks, California: Sage Publications. Feez, S. (2013). Montessori: The Australian story. Sydney, Australia: NewSouth Publishing. Ford, P.L. (2010). Aboriginal knowledge narratives and country: Marri kunkimba puti puti marrideyan. Brisbane, Australia: Post Pressed. Gay, L.R., Mills, G.E., & Airasian, P. (2006). Educational research: Competencies for analysis and applications. Upper Saddle River, NJ: Pearson Education. Harris, S. (1984). Aboriginal learning styles and formal schooling. The Aboriginal Child at School, 12(4), 3-23. Harrison, N. (2005). The learning is in-between: The search for a metalanguage in Indigenous education. Educational Philosophy and Theory, 37(6), 871- 884. Leedy, P.D., & Ormrod, J.E. (2001). Practical research: Planning and design (7th ed.) Upper Saddle River, NJ: Merrill Prentice Hall. Miles, M.B., & Huberman, A.M. (1994). Qualitative data analysis (2nd ed.). Thousand Oaks CA: Sage Publications. Ministerial Council of Education, Early Childhood Development and Youth Affairs [MCEECDYA]. (2015). National Aboriginal and Torres Strait Islander education strategy. Retrieved from https://www.education.gov.au/national- aboriginal-and-torres-strait-islander-education-strategy. Minutjukur, M. (2013). Introducing red dirt thinking. Sidney Myer Rural Lecture 3- Red Dirt Curriculum: Re-imagining Remote Education. 18 September 2013: Flinders University, South Australia (pp. 8-9). Montessori Children’s Foundation (2013). Transforming children, families and communities. Retrieved from http://melbournemontessori.vic.edu.au/wp- content/uploads/2013/10/montessori-transforming-children-families- communities.pdf. Montessori Children’s Foundation (n.d.). Indigenous projects report. Retrieved from http://montessori-esf.org/sites/default/files/projects/mcfindigenousprojectsoverview.pdf. National Congress for Australia’s First Peoples. (2016). The Redfern statement. Retrieved from http://www.nationalcongress.com.au/wp- content/uploads/2016/06/The-Redern-Statement-9-June-2016_FINAL-002.pdf. Neuman, W.L (2011). Social research methods: Qualitative and quantitative approaches (7th ed.) Boston: Pearson/Allyn and Bacon. Osborne, S. (2013). Introducing red dirt thinking. Sidney Myer Rural Lecture 3- Red Dirt Curriculum: Re-imagining Remote Education. 18 September 2013: Flinders University, South Australia (pp. 4-6). Perso, T., & Hayward, C. (2015). Teaching indigenous students. Crows Nest, NSW: Allen & Unwin. Rioux, J., & Rioux, J. (n.d.). Montessori in an indigenous community. Retrieved from https://montessoriaustralia.org.au/sites/default/files/downloads/issues/WadjaW adja0406.pdf. Robinson, J., & Nichol, R. (1998). Building bridges between Aboriginal and western mathematics: Creating effective mathematics learning environment. Education in Rural Australia, 8(2), 9-17. Rose, H. (1991). Case studies. In G. Allan & C. Skinner (Eds. ), Handbook for research students in social sciences (pp. 27-34). London: Fulmer Press. Stringer, E. (2007). Action research (3rd ed.). Thousand Oaks, CA: Sage Publications. Shinkfield, A., & Jennings, B. (2006). Playgroups: Playing to get ready for school. Perth, Australia: LotteryWest. Yunkaporta, T. (2009). Aboriginal pedagogies at the cultural interface. PhD thesis, James Cook University. Retrieved from http://www.researchonline.jcu.edu.au/10974/4/04Bookchapter.pdf.